Colourful handmade gladiator sandals, this season's must! These gorgeous sandals are made from 100% real calves leather in natural tan, encapsulating Iris Brand’s fresh, innovative approach to fashion. The selection of jewelled embellishment has been intricately handcrafted with ceramic turquoise stones, fuchsia and blue tassels, crystal beads and gold plated charms creating a beautiful, striking design. Contrasting colours emanate strength and power reminiscent of the most revered Greek goddesses. 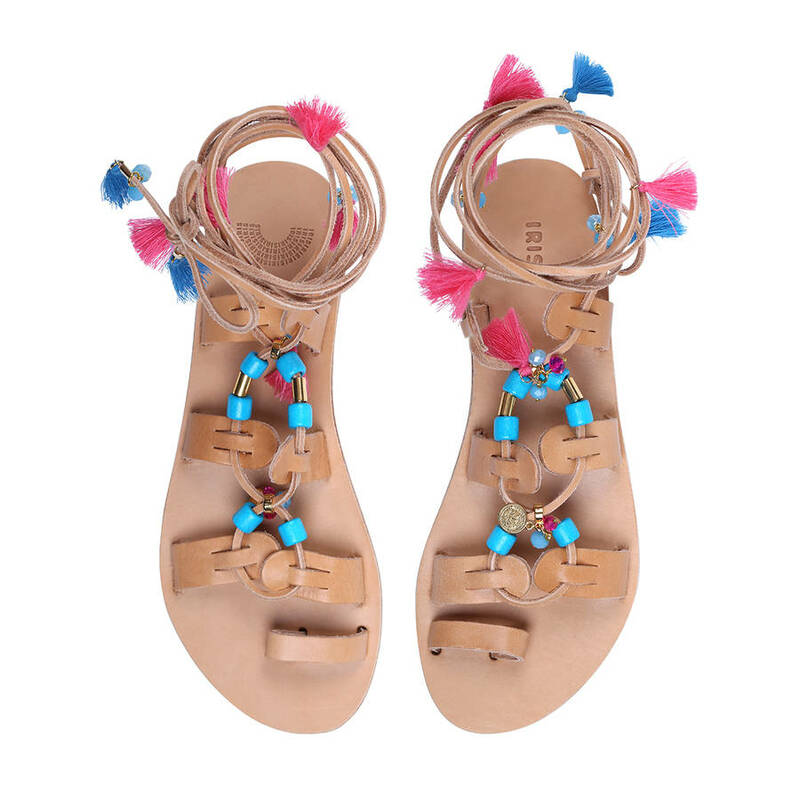 The Ibiza Tassels are the ideal sandals for summer festivals, days and nights. They also feature adjustable leather straps that can be wrapped around the ankle or leg for an eye-catching look. European sizing, only available in full sizes, please take a size up if you are in between sizes. This product is dispatched to you by IRIS. Please allow 2 days from the order confirmation as every piece is handmade to order.